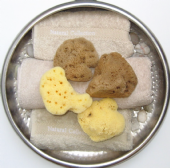 Dalmata Fina - Very fine textured denser sponges for Sophisticated Babies and Toddlers! 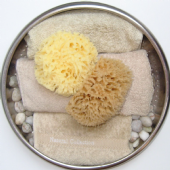 Honeycomb - Lovely porous texture for loads of soapy suds and bath time fun! 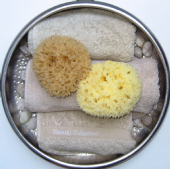 Sea Wool - Porous, absorbent and oh so soft!